In 1760, the Reverend Jared Eliot of Killingworth, Connecticut, published the first agricultural advice book in the British American colonies. 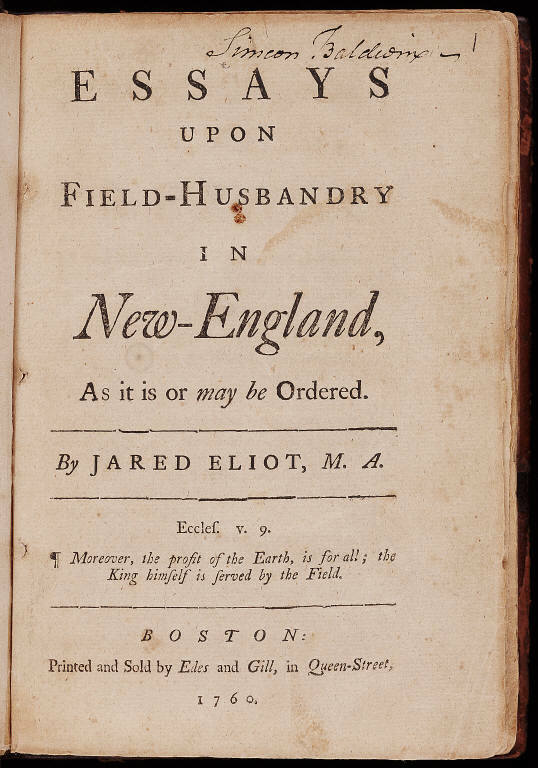 Published in Boston, Essays Upon Field-Husbandry in New-England, as it is or may be Ordered, contained a series of six essays written between 1748 and 1759 addressing various subjects he considered vital to halting wasteful farming methods and promoting agricultural improvement. 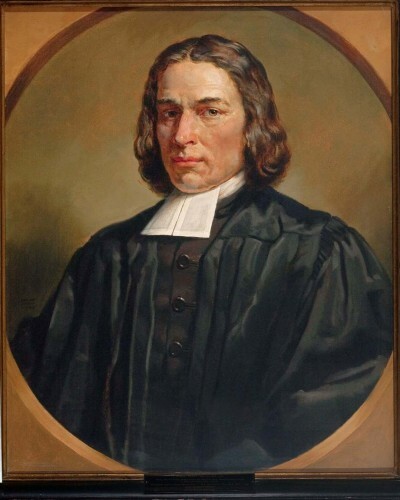 The grandson of the Reverend John Eliot, known as the Apostle to the Indians, and son of the Reverend Joseph Eliot of Guilford, Jared Eliot came from a family of very high standing. At a time when few males had access to formal education beyond district schooling, Eliot graduated from Yale. Following his forefathers’ callings, he became a minister, holding the pulpit at Killingworth from 1709 until his death in 1763. He also practiced medicine. 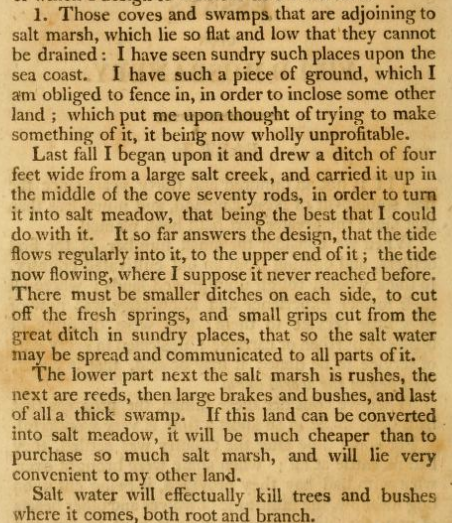 When Eliot became absorbed with his study of agricultural improvement in the 1740s, few colonists were interested in conserving and fertilizing soil, cultivating better crops and halting erosion. Land was still plentiful and capital was generally scarce; people moved on when they exhausted the land’s arability. When traveling the countryside visiting parishioners, the minister saw muddy water running from over-tilled hillsides into lowlands below and knew this was nutrient depletion. To address this problem, he studied farming methods advocated by English authors, notably Charles “Turnip” Townsend and Jethro Tull. Pennsylvania-born botanist to the American Colonies for King George III, John Bertram, also influenced him. Before publishing his essays, Eliot experimented for years on his own farm because he believed that conducting new tests based upon existing agricultural research was the only way to achieve progress. He believed that agriculture was a science, not a custom. His essays discussed English practices at length and he was careful to build his theories upon proven research before launching into recommendations. 5) planting soil-building crops such as red clover. Ditching and draining, Eliot’s first point, made sense but were difficult because ditches clogged easily, requiring more work in an already labor-intensive occupation. As to capturing manure for use as fertilizer, Eliot recommended this at a time when herds were still grazing unenclosed in many places, making collection of this natural resource impractical. Regarding the third point, historian Richard Bushman has observed that the minister’s advocacy of small farms was at least partly motivated by the problem of increasing migration out of the colony by the mid-1700s. The established leadership (which included Eliot) wanted people to stay put and keep land values and society in order. Bushman wrote: “Jared Eliot’s famous Essays on Field Husbandry were as much a discourse on how to be content with small acreage as a venture into scientific agriculture.” His improvements offered a practical means for farmers to get ahead where they already lived without risk of crippling indebtedness. Although Eliot pioneered the field of scientific agriculture, in land-abundant colonial New England his work did not have immediate impact. It was 30 years before the next American-written advice book appeared in 1790. The Reverend Samuel Deane’s The New England Farmer; or, Georgical Dictionary was published at a time when many farmers in the new nation were interested in improving their methods to meet the demands of the marketplace. In the early 19th century, there was an explosion of advice literature, with The New England Farmer the most widely read, and an eager public willing to adopt scientific practices. It was then that people started paying close attention to Jared Eliot. Holly V. Izard, who holds a PhD in American and New England Studies from Boston University, has written and published extensively on pre-1850 New England agriculture and social history and is curator of collections at Worcester Historical Museum in Worcester, Massachusetts. Eliot, Jared. An Essay on the Invention, or Art of Making Very Good, If Not the Best Iron, from Black Sea Sand. New York, NY: John Holt, 1762. Link. Thoms, Herbert. Jared Eliot, Minister, Doctor, Scientist, and His Connecticut. Hamden, CT: Shoe String Press, 1967. Massachusetts Society for Promoting Agriculture. Papers on Agriculture for 1811, Communicated to the Massachusetts Society for Promoting Agriculture. Boston, MA: Munroe & French, 1811. Link.